In the next few weeks we should see the final report of the Ministry of Justice’s Civil Courts Structure Review, chaired by Lord Justice Briggs. Here at the Trust we have been engaged with the Review throughout the consultation process, and more specifically, highlighting our concerns over the prospect of unifying County Court and High Court enforcement processes. At present, enforcement action or the use of bailiffs for credit debts (debts that fall under the Consumer Credit Act) can only be enforced through the County Court. These cannot, by law, be transferred to the High Court for enforcement. This is significant because the enforcement approaches permissible in the County Court and High Court differ. However, the prospect of unifying the processes of enforcement of High Court and County Court has cropped up in the Lord Justice Briggs review. In Lord Justice Briggs’ view, County Court enforcement is at present “heavily localised, paper based, prone to error in form filling, and widely perceived to be slow, ineffective and expensive” – and it is hard to disagree. However, we believe any efforts to unify these processes to accommodate judgments emanating from both courts needs to be approached with caution. There have been some calls for High Court Enforcement Officers (HCEOs) to enforce consumer credit debts, but we think this would be a disproportionate response to the problem that the Review has identified. Consumers who have taken out ordinary credit agreements and have fallen upon hard times through a change in circumstances, are ill-suited to the enforcement methods used in the High Court, and lack both the income and the assets to justify the use of such costly procedures. In addition they may owe relatively high amounts in credit card or bank loan debt, but this does not mean that they have substantial assets to match or indeed any assets at all. It’s easier for people to understand County Court procedures. The use of the High Court for enforcement of judgments introduces an unmerited degree of complexity and formality into the enforcement process. The language and procedures of the High Court are both arcane and intimidating. In our experience, this has the effect of putting people off from engaging in the process. Vulnerable clients would have less access to justice. The process in the High Court as it stands would be inaccessible to most of our clients who would be unable to deal with the application process, even though it uses form N245, the process is much more complicated and involves submitting an affidavit or statement of means, as well as drawing up your own order and serving it on all parties. We predict that as a result vulnerable clients would have no access to justice. Fees and charges are lower in the County Court. The two enforcement stages in the fee scale for High Court enforcement will in many cases be capable of adding a greater amount in charges than was originally owed – adding a further burden for people already in financial difficulty.  Additional fees can be charged at 7.5% of the amount owed above £1,000. The balances owed on consumer credit-related debts can be relatively high. This will have a huge impact on the ability of a much more potentially low-income and vulnerable group of people in debt to pay what they owe. The activities of County Court enforcement agents rarely cause complaints. The existing system whereby County Court enforcement agents are directly employed staff of Her Majesty’s Courts and Tribunals Service results in few complaints issues in relation to entry, or disputes about payment arrangements. There is no financial incentive for a county court enforcement agent to act improperly or use aggressive tactics to recover their fees – and we would be concerned that we see significantly more detriment if HCEOs take their place. It would ultimately be more costly for the Court Service. It is more costly in terms of court time to deal with the application to stay a writ of control because applications are generally scrutinised by a district judge, whereas county court staff deal with applications to suspend a warrant of execution. You can read more in our full consultation response, which expands on these headline points. We have strongly recommended that before any decisions are made, there should be research and a full cost-benefit analysis carried out into the effectiveness of enforcement agents in the County Court. 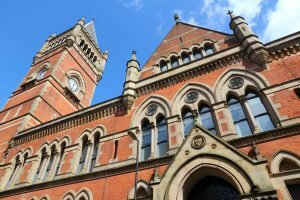 We believe that this will show resoundingly that while improvements can be made to County Court enforcement, unification with the High Court enforcement would be a backward step for people in financial difficulty. We will see any day what Lord Justice Briggs thinks. Could the FCA have a role in the regulation of enforcement agencies?